I hope you've been enjoying all of the February Sweet Treats we've been bringing you this month! Today's ideas and freebie are perfect for this year because it's a LEAP YEAR! But if you teach about rotation and revolution of the Earth, this will be great any time of year. We have leap year because a solar year is 365.242 days, or 365 days, 5 hours, 48 minutes, and 46 seconds. We add an extra day to the year every four years to make up for that almost quarter of a day. But did you know... we DON'T have a leap year if the year ends in double zeroes but isn't divisible by 400? In other words, in the year 2100, there will not be a leap year. Not in the years 2200 or 2300 either! We probably didn't realize this rule since we were all alive in 2000 when we DID have a leap year! It's part of the Gregorian Calendar "rules" that helps to make up for those extra thousandths of a day- if we didn't skip a leap day every now and then, we'd end up with a surplus of days! 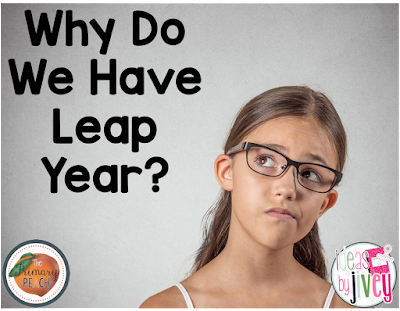 For students to understand why we have a leap year, they first must learn that our Earth revolves around the Sun. And if you're teaching Earth's revolution and seasons, you are going to also be teaching about Earth's rotation, too! Any time you can have students "act out" science terms, you should totally do it. Not only will it help them remember the vocabulary, but it also helps them to "see" things that can be really abstract. 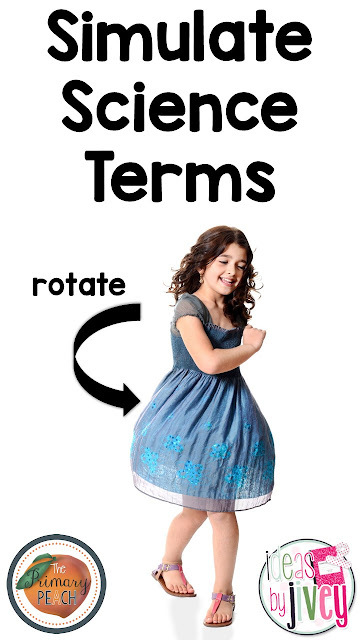 For example... rotate and revolve... these two terms get confused the most in your classroom, I bet! Then, stand in the center of the room and have students move around you around the edge of the room, or REVOLVE around you. And if you are really daring and not afraid of chaos, you can have the students simulate the Earth's rotation AND revolution by having them spin as they move around the outside of the room! It's so important to let students explore for the same reasons you should simulate! 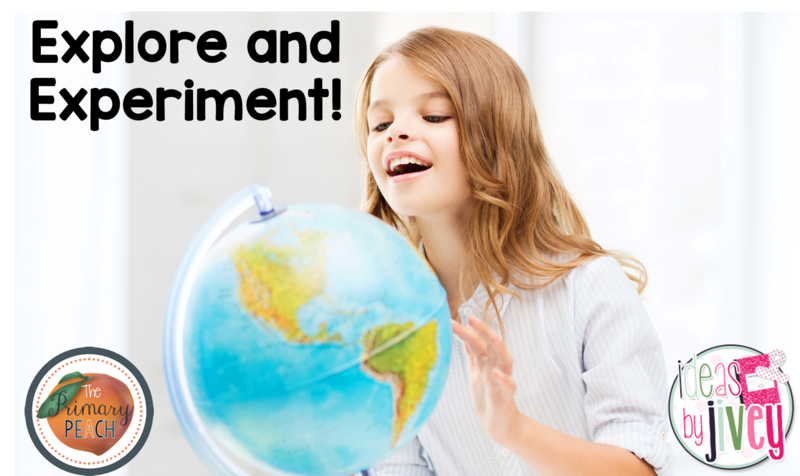 There are a few great ways you can let students explore and experiment with a globe and a flashlight. The easiest way for students to "see" night and day is to darken the room, turn on a flashlight and shine it at your globe, then have students walk around the globe to see the side facing the "Sun" is having day, while the other side is dark and having night. To explore how the seasons occur, it's great if you can collect multiple globes from the classrooms around you to allow the students to work in smaller groups. Students should notice right away that the globe is tilted, just like the Earth. Have students move the globe to the top, left side, bottom, and right side of the table, keeping the axis pointed in the same direction each time. They should be able to see the seasons happening because of the tilt- have them decide which places on the table would be our "summer" and "winter." If there is time, they could also experiment with what would happen if there was no tilt- would we have seasons? Have students hold the globe so that the axis is straight up and down and move to each of the 4 spots around the table. All of those exploration ideas might work best after using this freebie! Students will read about how the Earth revolves, and why we have seasons and leap years. They will read about how the Earth rotates, and why we have day and night. Then they will answer questions that require knowledge from both passages, as well as a written constructed response! 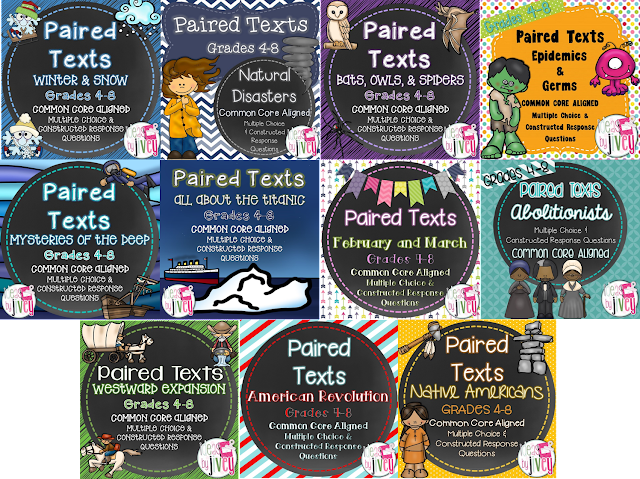 If you love using paired texts in your classroom, you might also be interested in these high-interest, engaging paired texts from my store! You can also follow my Pinterest board all about Paired Texts! Follow Ideas By Jivey's board Paired Texts / Paired Passages on Pinterest. IBCbet Online gambling sites that are open to gambling every day as the gambler needs.